Nowadays, “marriage” has become a major event for young couples in the new era who are happy and worried. No matter how informal the person is, a solemn and romantic wedding is everyone’s dream. Therefore, venues are very important for a wedding. The same hotel-style wedding is no longer sought after by young people. The unique outdoor luxury wedding tent is the “up-and-coming star”, giving you a different wedding experience. 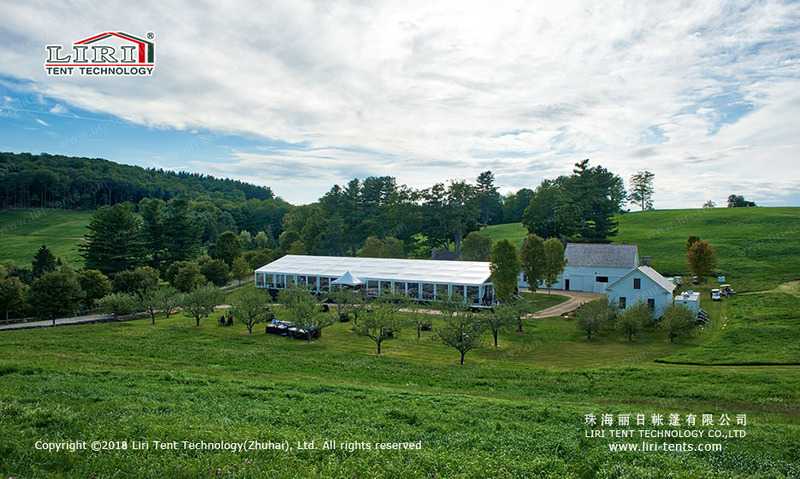 As a modular structure, the luxury wedding tent is flexible and convenient for transportation and installation. In any environment,wedding tents can be easily built to solve a major problem in outdoor indoor wedding venues. Because the tents are made of environmentally-friendly materials, there is no damage to the environment and no pollution. Therefore, people can hold a solemn outdoor wedding of the Holy Spirit under the backdrop of a quiet and beautiful nature. The overall appearance of the tent is pure white fabric, which symbolizes purity and flawlessness. If you have special requirements, you can also print a special pattern to make the tent more distinctive. 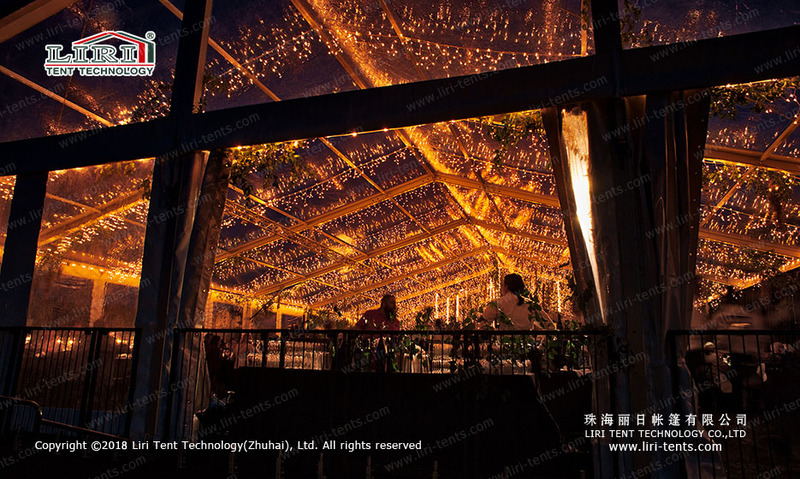 In addition, a fully transparent glass wall can be installed around the tent, which can reflect the radiance of the sun under the sunlight, making the whole scene more romantic. When the night comes, starlight becomes a competent atmosphere master, shining in a transparent tent, naturally creating an atmosphere that makes everything feel like a dream. 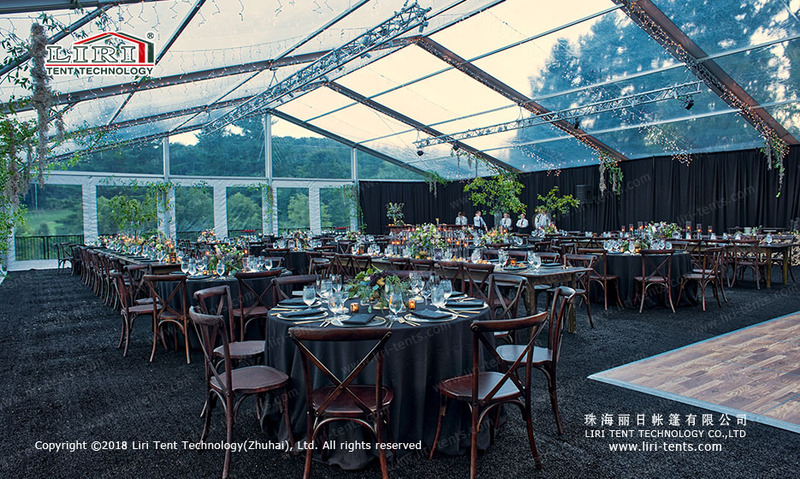 That is why outdoor luxury wedding tent more and more popular.